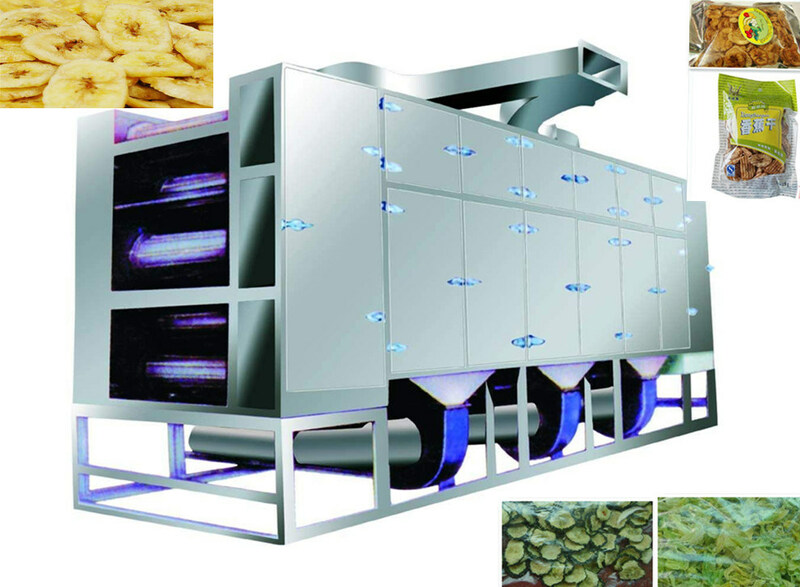 this preserved Â fruitÂ drying machinery is a continuous penetrating flow drying equipment applied for drying pieces strip and particles state materials with good ventilation. 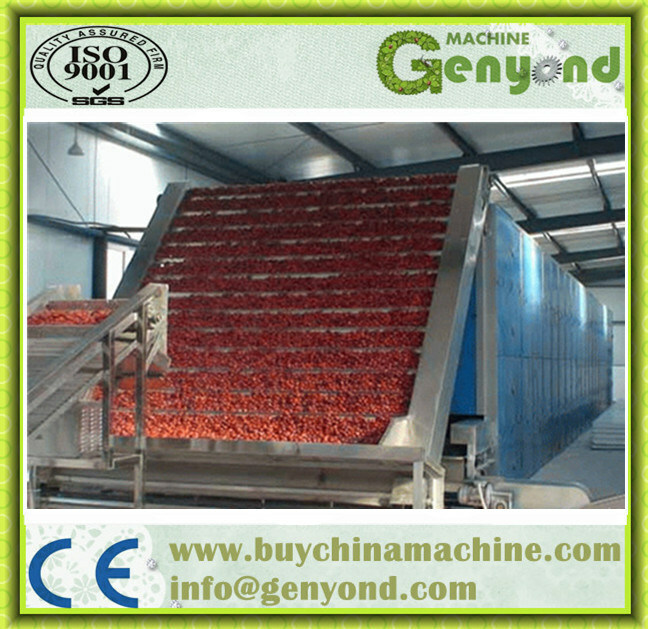 The machine owns the advantages, of fast drying speed, high evaporation capacity and good product quality. 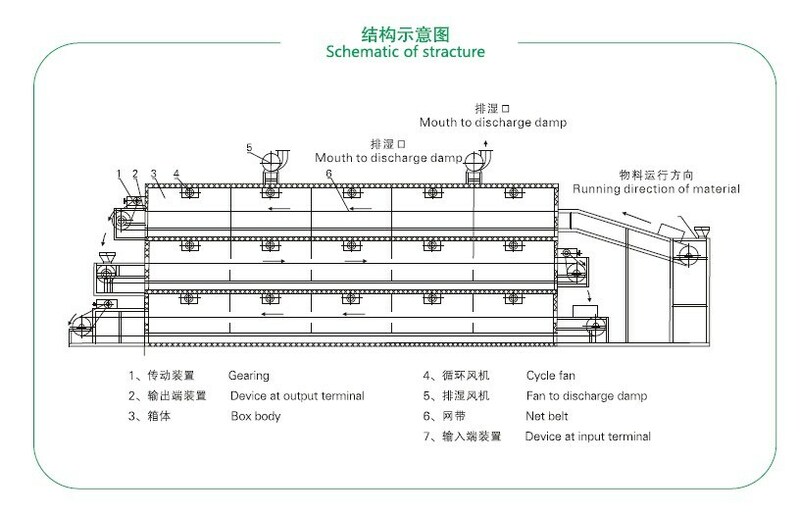 The machine is suitable for the materials, such as de-watering de-watering vegetable, herbal medicine of traditional Chinese medicine and Others, for which the water content rate is high and the high temperature is not allowed. 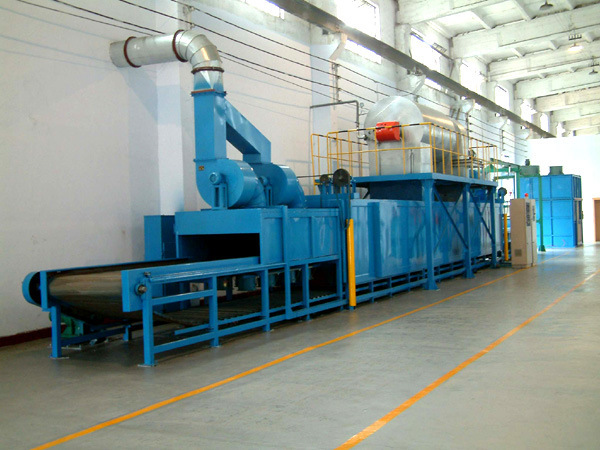 The machine owns the advantages, that its drying speed is fast, the evaporation strength is high and the product quality is good. 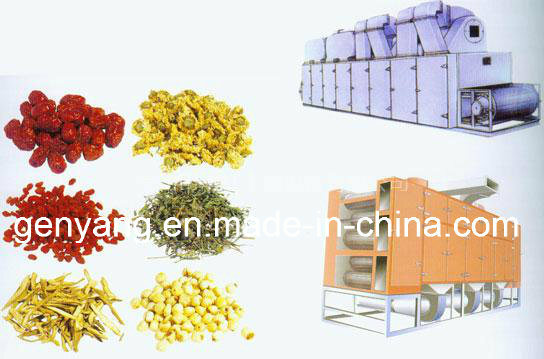 The de-watering filtering cake state paste material, after the particle makeing or bar making, can be dried also. (6). Requirement of powder collection: If bag collector is needed to install, environmental requirement of tail gasherbal.